Nordic Games announced a brand new IP on Thursday morning. The new game is said to be an open world RPG called ELEX that will be hitting the PC and consoles over the winter of 2016/17. The game is set in a new post-apocalyptic science fantasy universe that will have a ton of new characters and mutated characters. The game is said to include plenty of action but will also have moral choices that will change the way the game unfolds. “To say we are excited to see this new project unfold in the hands of Piranha Bytes is an understatement. 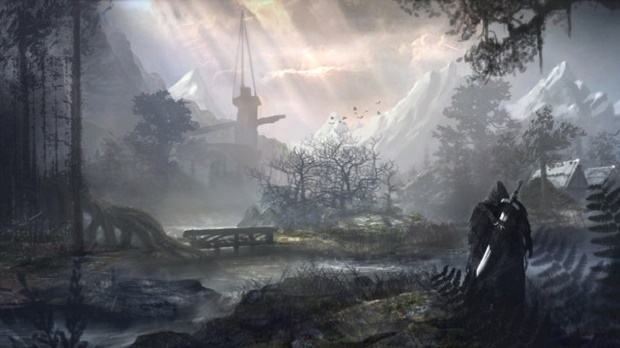 ELEX is going to be edgy, dark, uncompromising, complex, and we love it already,” Reinhard Pollice business & product development director at Nordic Games said in a release announcing the new title. Reinhard added that Nordic Games and Piranha Bytes will be giving gamers a “vertical slice” of the game at this year’s Gamescom but neither company had a whole lot more to offer as far as details go beyond the very brief synopsis. The firms did say that this is going to be dark and edgy, so perhaps a combination of Fallout and Dark Souls. Nordic Games’ has previously had quite a bit of success with IPs like Darksiders, thought that series appears to be on hold, perhaps because they’ve decided to work on ELEX instead. When the new game does release in the winter of 2016/17 the companies said it will be available on the PC, Xbox One and PS4.